Brinner : What's up Montreal - Puces Pop is back! 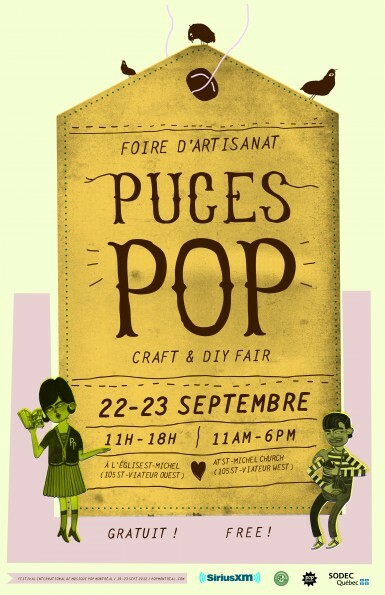 Puces Pop started today! Go! Support your local artisans, they rock! As before, it's at St. Michael's Church Saturday and Sunday! I'm not participating to this one due to time constraints, but I'm hoping to be back next time. This time I'll just go visit. You should too!